China finally appears ready to issue a comprehensive document providing specifications for the Compass/BeiDou-2 open signal in space, which should enable non-Chinese manufacturers to build complete Compass receivers. In an aside to a China Daily reporter at last week’s seventh meeting of the International Committee on GNSS (ICG-7), Yang Yuanxi, an academician with the Chinese Academy of Sciences and a prominent geodesy scientist, said that Compass’s “official interface control document, or ICD, will be likely made public around the end of the year, to encourage Beidou’s application overseas." 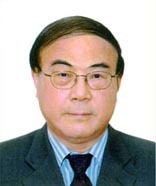 Yang is a professor at the China National Administration of GNSS and Applications and a prominent figure in China’s GNSS community. His comments were reported in the Monday (November 11, 2012) issue China Daily, the largest Chinese-language newspaper and a publication that generally reflects official policy of the People’s Republic of China (PRC). ICG-7, which received high-profile treatment by the Chinese hosts of the Beijing event, took place the week before the 18th National Congress of the Communist Party of China (CPC) — a significantly timed coincidence. Underlining the importance of the event, Chinese State Councilor Liu Yandong made the opening remarks at the United Nations-backed ICG conference. The 35-member China State Council is the PRC’s chief administrative authority and the executive branch counterpart to the Chinese Communist Party and People’s Liberation Army. Last December, China released a “test version” of the ICD, an 11-page publication covering its open B1 civil signal centered at 1561.098 MHz. However, the ICD failed to describe the signal’s modulated data, particularly the satellite almanac and ephemeris elements used to compute Compass satellite orbits and clock offsets that are needed in order to incorporate these new signals into the algorithms used by receivers for determining position and time. Domestic Chinese manufacturers have had access to a complete ICD for years and have brought many Compass-capable products to market, but foreign manufacturers have been reluctant to build fully functional equipment because of uncertainty about the final BeiDou signal design. That has proved a growing irritation to both overseas manufacturers and representatives of other GNSS service providers, who have long pressed Chinese GNSS officials to release a full ICD. Chinese officials have explained the absence of a final ICD that is available outside the country as reflecting the fact that Compass has only been declared ready to be used as a “regional” system. 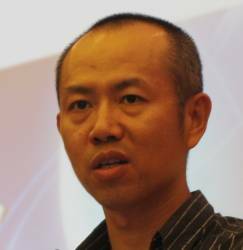 Lu Xiaochun, a professor at the National Time Service Center at the Chinese Academy of Sciences, told China Daily that Compass was still in the trial stage, and its performance is not yet guaranteed. "The [ICD] should be released before BeiDou officially provides services to the Asia-Pacific early next year," she said.